Ex-Proteas spinner, Robin Peterson, has been picked as the assistant coach of the Bloem City Blazers for their Global T20 campaign. 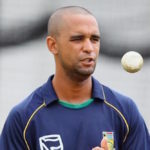 Robin Peterson says the South Africa U19 players are keen to chalk up a second successive victory against West Indies in the second Youth ODI on Wednesday. Robin Peterson, who announced his retirement from the game on Wednesday, is our Legend of the Week. Former Proteas left-arm spinner Robin Peterson today announced his retirement from all cricket with immediate effect. Robin Peterson, takes 6-71 for his new franchise the Knights, as the Dolphins posted 285-9 at stumps on day one of their Sunfoil Series clash. 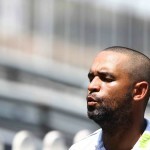 Robin Peterson, who turns 37 today, was instrumental in the Proteas’ comeback victory over India at the 2011 World Cup. 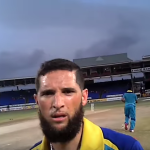 Robin Peterson takes us behind the scenes as his Barbados Tridents side train in Bridgetown.